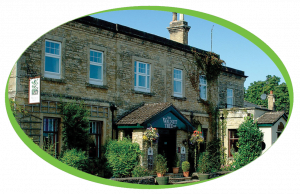 The Walnut Tree Inn is the perfect place to stay if you are looking for value for money accommodation in Blisworth near Northampton. The family run hotel and bar offer fresh cooking, a well-stocked bar, and tasteful individually styled guest rooms. The Walnut Tree Inn purchased a Jura Xj9 as well as a Cool Control unit to help keep the milk perfectly chilled for drinks. Alongside the machine they have installed our cup warmer to keep the cups at the best temperature. They have purchased our Espresso Coffee Beans to be used in the machine. To keep the machine running smoothly, The Walnut Tree Inn have purchased our Descaler & Cleaning tablets as well as our Cappuccino Cleaner.